Preet Bharara, the US attorney for the Southern District of New York, today announced the unsealing of a federal criminal complaint against Robert Faiella and Charlie Shrem. It’s alleged that Faiella ran an underground bitcoin exchange on Silk Road. Shrem is well-known in the bitcoin community as the CEO of BitInstant and the Vice Chairman of the Bitcoin Foundation. A copy of the criminal complaint against both men is here. The complaint alleges that both Shrem and Faiella operated an unlicensed money transmitting and that Shrem specifically facilitated that business through BitInstant. Further to those allegations, Shrem is also charged with violations of the Bank Secrecy Act because of his purported wilfull failure to file reports with the Treasury Department. Finally, both men are charged with money laundering conspiracy under 18 U.S.C. 1956. The Department of Justice has brought in a third-party claims administrator to help eligible American online poker players reclaim funds that were lost to Full Tilt Poker after the companys access to the United States was cut off in April 2011. U.S. Attorney for the Southern District of New York Preet Bharara said Wednesday that bringing aboard Garden City Group was a significant step forward in the process of compensating victims of the Full Tilt Poker scheme. Former World Series of Poker champion Chris Ferguson, whose career has been derailed for almost three years following the U.S. government’s crackdown on Internet poker, has settled with federal prosecutors. 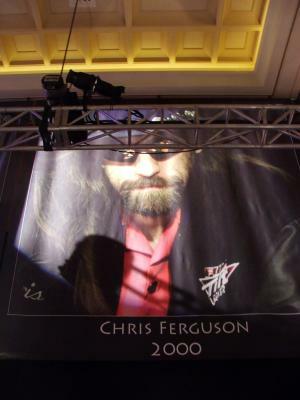 According to court documents, Ferguson agreed to forfeit millions of dollars he earned as a founder and principal in Full Tilt Poker, one of three online gambling businesses whose access to American customers was cut off in April 2011 following a slew of criminal indictments. The eight-page settlement was signed by Ferguson and his attorneys and federal prosecutors on Tuesday. U.S. District Judge Kimba Wood of New York City approved the agreement Thursday. The case stems from a civil lawsuit filed by the U.S. Justice Department in September 2011, which alleged Ferguson, fellow poker player Howard Lederer and other Full Tilt owners defrauded online customers out of $443.8 million. Government prosecutors labeled Full Tilt Poker nothing more than a giant Ponzi scheme. The website’s owners and operators were accused of diverting funds from gamblers into their own pockets. 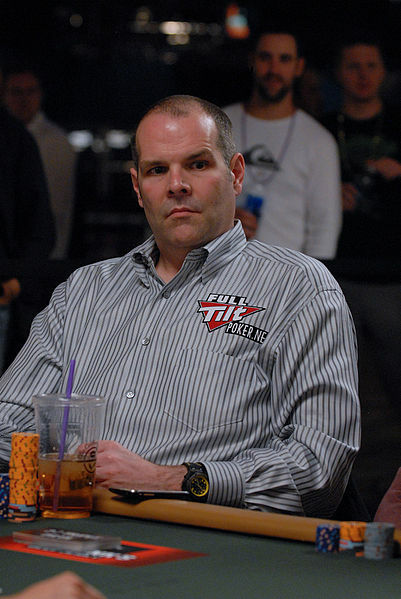 Poker superstar Howard Lederer, facing a $42.5 million civil lawsuit filed by the U.S. Department of Justice over his leadership role with a tarnished online gambling company, agreed Tuesday to settle the case, forfeiting more than $2.5 million in cash and assets. In a stipulated settlement filed at the U.S. District Court in New York City, Lederer, once one of the most revered players on the poker circuit, did not admit to any wrong-doing in the case that stemmed from the April 2011 crackdown by federal prosecutors on illegal Internet poker operations. However, Lederer, 49, who was nicknamed “The Professor,” by the poker world, agreed to a two-part money settlement with the government, which includes a civil money-laundering penalty of $1.25 million and $168,000 that will be liquidated from various bank accounts. Lederer agreed to pay the penalty in two installments, due 18 months and 36 months from now. The penalties are secured by Lederer’s two Las Vegas homes in the ultra-exclusive The Ridges area of Summerlin. Chris Ferguson wins a poker tournament! Ridiculous use of an exclamation point (with apologies to Jess Welman) and it wasn’t the same Chris Ferguson who is currently under indictment by the Department of Justice. But it did give a small moment of humor during a time when there are few remotely chuckle-worthy things going on in the world of poker. Chris “Not Jesus” Ferguson won the UKIPT Newcastle Main Event at the same time German Ole Schemion was busy winning the absolutely final Partouche Poker Tour Main Event. Schemion picked up €1,172,850 for his victory and defeated some of the hottest pros in the world right now including Dan Smith’s Nubs and Dan O’Brien. It was an unfortunate way to end a tour which had become a popular destination and was drawing many top players from the States. 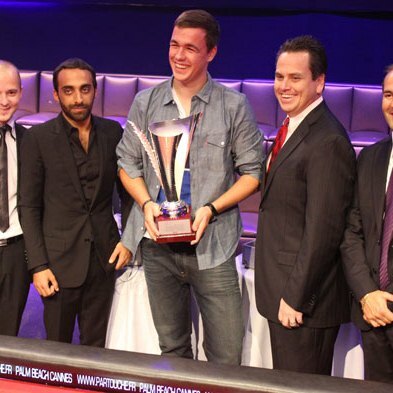 In other news, the WSOP announced the ten finalists for the 2012 Poker Hall of Fame class. There are six new names on the list with four returning from last year in Scotty Nguyen, Jenn Harman, John Juanda, and Tom McEvoy. Two great new additions to the nomination list include a couple of top non-American players with Chris Bjorin and Thor Hansen. Ballots are being sent out to voters with results being reported at the beginning of October and the ceremony during the November Nine (refuse to call it October Nine) ceremonies. You can check out the full list on the link above. I’m going on record, Sailor Roberts is the most deserving player on the ballot. He lost credibility at the end of his life because of drugs. But Sailor was the most complete player (outside of Chip) that ever lived. DOJ Files Second Amended Complaint; Alleges Lederer Funded Assets with Unlawful Proceeds – Looks like the DoJ isn’t quite done dropping the hammer on the FTP gang and would like a few dollars from them. A second amended complaint is looking for $137,000,000 in forfeitures from Lederer, Ferguson, Bitar, and Furst. WCOOP Final Table Coverage – Since I’m writing about the out-spoken ones, QuadJacks has been getting some pretty decent traffic for their live WCOOP Final Table coverage online. There are few options for U.S. bound players to watch the World Championship of Online Poker but they are a good option. WCOOP 2012: Inside the PokerStars Radio Studio – For a very entertaining listen during the WCOOP, you should check out PokerStars radio with the always jovial Joe Stapleton. Friend of the Pokerati Brad “Otis” Willis has a fun look behind the scenes. PokerNews Weekly: Latest Tournament Winners, Partouche Controversy and WCOOP Radio – PokerNews Kristy Arnett and Sarah Grant discuss the latest poker developments. 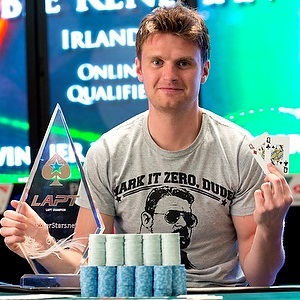 There’s something pretty cool about a guy winning a poker tournament wearing a Big Lebowski t-shirt. If you’re going to dress down for a final table, at least be interesting. Also cool is a guy in Ireland winning an LAPT package on the cheap, travelling to the safest city in the world (Medellin Columbia is a walk in the park, correct? ), and boosting his career tournament earnings from $5,000 to $150,000. Also starting is the next round of WSOP Circuit events with a series of tournaments at the IP in Biloxi, MS. Not to be confused with the IP in Las Vegas where you’re more likely to get stuck to the floor before you lose your bankroll. On top of the great food and music, Biloxi will offer 12 tournament including the $1,675 Main Event. Exclusive: Michele Clayborne, Former Consulting Head of PR for Full Tilt Poker, Releases Statement – Part of her statement concerning FTPDoug: “Until this announcement, I too was not aware of this person’s identity”. Booshit. I knew she wasn’t FTPDoug but I would be damned shocked if she didn’t know who it was. There are plenty of stories about what a pain it was to deal with Clayborne and I have quite a few myself. Doubly painful since we were both collecting a paycheck from the same company. Department Of Justice Looks For Aid With About 1.3 Million ‘Potential U.S. Victims’ Of Full Tilt Poker – CardPlayer reports the DOJ is looking for a third party processor to take care of the ~$139,000,000 of payments due former US players at Full Tilt Poker. They are saying potentially 1.3million possible “victims”. Claims Administrator—Full Tilt Poker – Unemployed, the Department of Justice might have a spot for you. Double checking Michele Clayborne’s LinkedIn profile to see if she’s qualified. If sports betting is so obviously beneficial to the sports leagues, why do they still oppose it? Insiders weigh in – Everybody from New Jersey to Washington state has taking their bats to the gaming industry and the boys at QuadJacks decided to take a look at why sports leagues oppose betting. 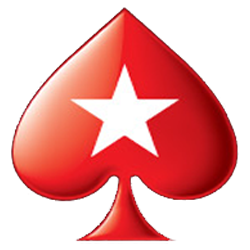 The Micros – The gang wants to take advantage of the PokerStars Full Tilt Poker buyout. For real, can someone please sponsor these guys again so we can get back to the episodes? Subject:Poker is reporting that the US Department of Justice and Groupe Bernard Tapie have reached an agreement regarding the sale and fate of Full Tilt Poker. According to an email from Ray Bitar, the indicted CEO says that upon a payment by the Tapie group and a commitment to assume responsibility to repay non-US players, the DOJ will reimburse US players and settle litigation with FTP-associated companies. The Tapie group will then work on becoming licensed once again by a gaming authority and eventually resume business. Any deal still needs to be approved by 2/3 of Full Tilt ownership, expected to be a formality. More perspective can be found at Wicked Chops Poker. The arrest warrant in rem in the parallel civil forfeiture case (11 Civ. 2564) involving PokerStars, FullTilt, and UB is out. This is the instrumentality through which the domain names were redirected by the FBI to the notices up on the sites. The only sites affected by this are: www.pokerstars.com, www.fulltiltpoker.com, www.ub.com, www.ultimatebet.com, and www.absolutepoker.com. The warrant directs the .com registrar (VeriSign) to direct the name servers to the addresses specified in the warrant or such other name servers or IP addresses as directed by the FBI. These domains have been locked by the registry (and by the registrar in the case of www.ultimatebet.com – this domain remains with GoDaddy pending a final disposition of the domain seizure case in Kentucky) and now cannot be moved without a court order or the consent of the Department of Justice. I understand that the rest of the domains (save and except for www.ultimatebet.com) are registered with foreign registrars. The inaugural NAPT-Venetian was by most accounts a smashing success. PokerStars announced the tournament in January, and less than six weeks later — at a time when big-money players usually would be heading to California for the WPT-Commerce — 872 entrants made it to the Venetian for a televised $5k main event in Las Vegas. But it wasn’t the field size, TV cameras, or $4.1 million prize pool that made the NAPT-Venetian special … it was that the Las Vegas tournament was “presented by PokerStars”. Dot net. Perhaps surprisingly, because we see so much PokerStars on TV … this was the first time since the UIGEA that a licensed Nevada casino partnered with PokerStars (or any site like it) for a major open tournament. Its success didn’t go unnoticed. And that may prove to be the problem for PokerStars and the North American Poker Tour, as the inaugural NAPT-Venetian will probably — almost certainly — be the last. Daniel Tzvetkoff, first accused UIGEA criminal: Whoever said being a douchebag was a crime? Dude … it’s gettin’ hot here in the US … specifically in Las Vegas. Yesterday federal authorities arrested Daniel Tzvetkoff, a 27-year-old Australian national “on charges that he assisted illegal internet gambling companies by processing approximately $500 million in transactions between U.S. gamblers and internet gambling websites and disguising the transactions to the banks so that they would appear unrelated to gambling,” according to a statement from the DOJ’s Southern District of New York. Tzvetkoff, as founder of Intabill and ACH System, faces up to 75 years in prison for bank fraud, money laundering, conspiracy to operate and finance an illegal gambling business, and … get this … for processing fund transfers in violation of the UIGEA. I’m pretty sure that’s the first ever indictment to bring up UIGEA charges. 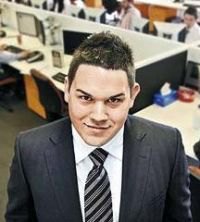 About a year ago the Australia Courier-Mail reported that Tzvetkoff owed Full Tilt, PokerStars, Ultimate Bet, and Absolute Poker more than $30 million as the overextended, ostentatious Gen-Y tycoon’s personal empire was crumbling. Then, Full Tilt (through Kolyma Corporation) sued Tzvetkoff in Australian Court, saying his company Intabill owed them $52 million. Before his arrest, he was saying Full Tilt tricked him into a bad deal and his lawyer doublecrossed him. He blamed the economy for a multi-multi-millionaire having to declare bankruptcy earlier this year. More on the pre-arrest rise and fall of an online poker payment processor here. I mean for chrissakes, he drove a Lamborghini with the license plate “BALLER”! And when a bank repossessed a competitive race car of his, they got everything except its $100k engine, which had been stripped out and hidden. Forbes Cover Story: US government cracking down on online poker? A cover story in the latest issue of Forbes magazine (the main story asking if Al Qaeda is bankrupt) features an article discussing the US government’s possible crackdown on online poker with the impending June 1 deadline for the UIGEA to be enforced. The article can be found on their website here and includes a slide show of the big names behind online poker. More of the court documents that were heavily redacted now have a bit less of a black line through them, to show Full Tilt Poker and PokerStars mentioned in the case of Douglas Rennick and the freezing of nearly $40m in funds from payment processors. iMEGA has a copy of the documents up on their site.